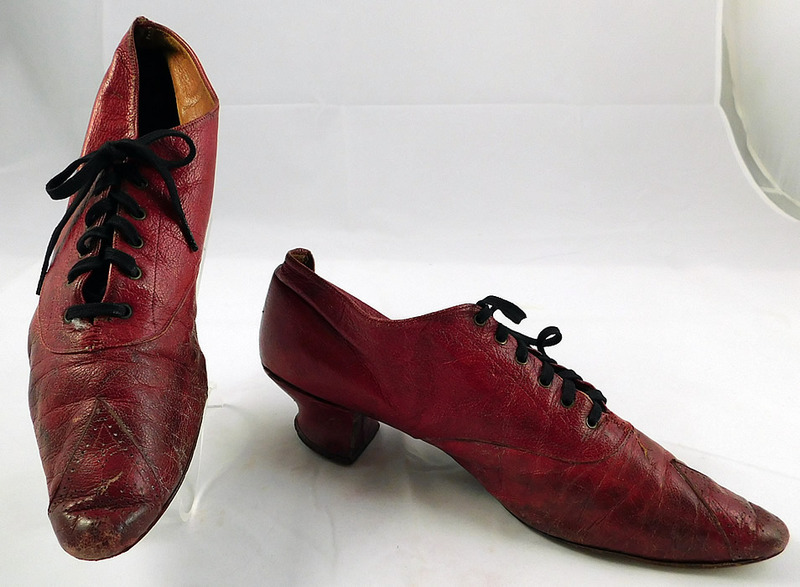 This pair of antique Victorian era Rosenbloom Maker red leather pointed toe low lace-up shoes date from 1870. 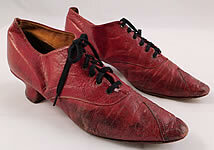 They are made of red leather with decorative punch work designs on the front toes. 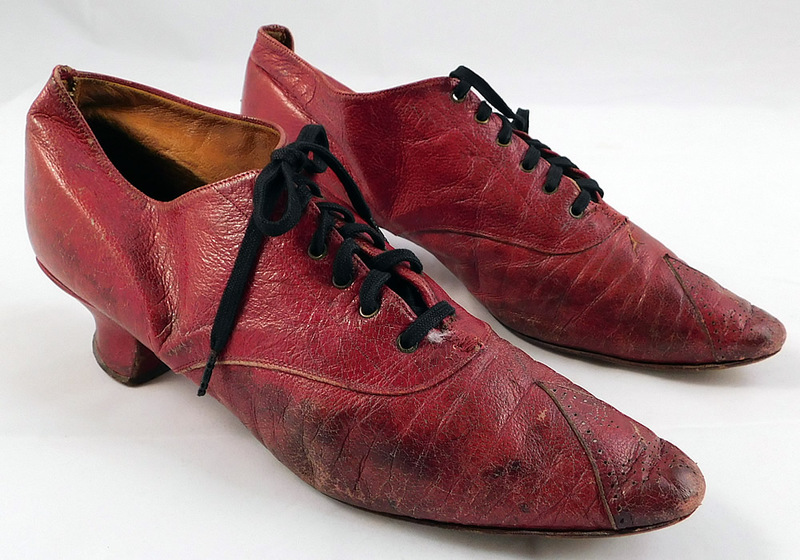 These radiant red womens shoes have a low lace-up style, with pointed toes, red leather covered French Louis XV heels and are lined in leather with the embossed stamp "Rosenbloom Maker" label inside. 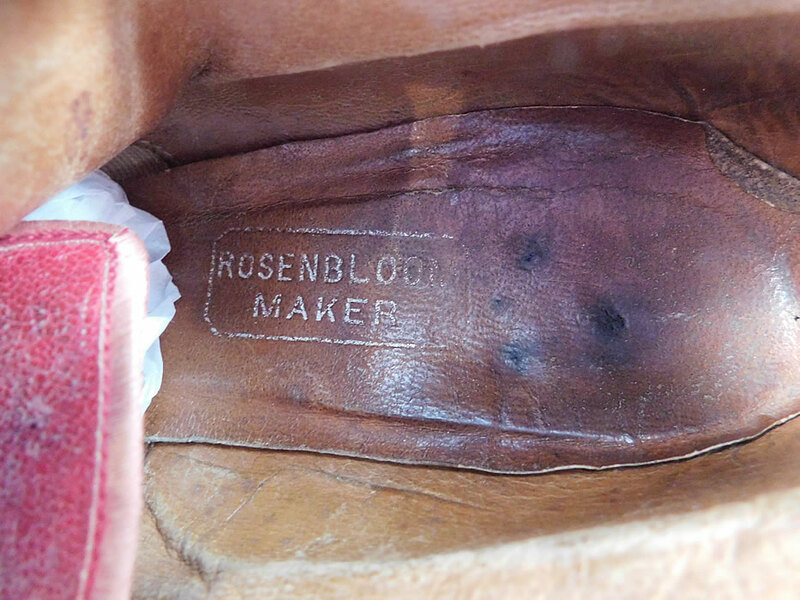 The shoes measure 9 1/2 inches long, 2 1/2 inches wide and have a 1 1/2 inch high heel. 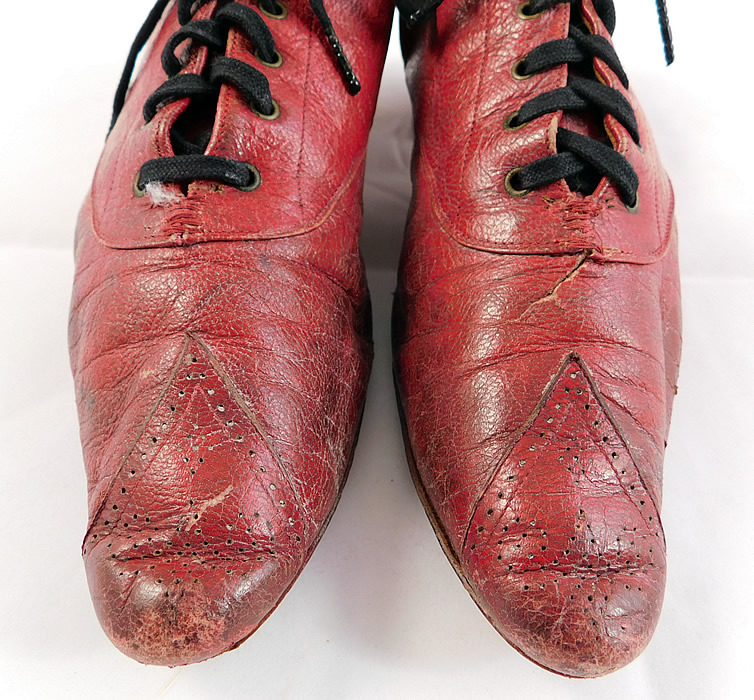 They are in fair as-is condition with some wear, scuffs, soiling and a small frayed rip near the front toe (see close-ups). 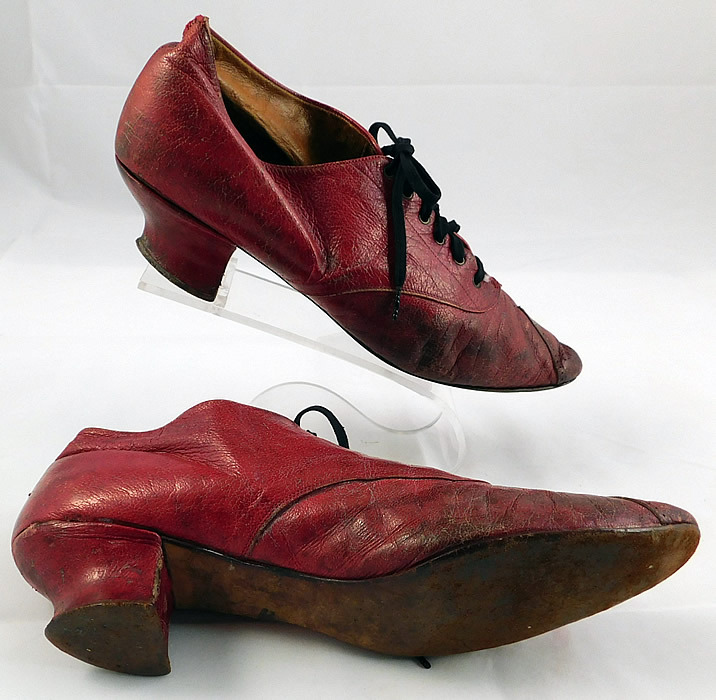 These are truly a rare and beautiful quality made antique Victorian shoe which would make for a wonderful display piece!